Redskins News by Mike Jones and; Liz Clarke. If your only exposure to NFL players is on game day, and you only know new Washington Redskins wide receiver DeSean Jackson by what you’ve read, here’s an opportunity to get to know him by his own words. And in more than a sound bite. St. Andrew’s Episcopal School and the NFL Players Association shared a video of Jackson opening up about being bullied and his experience as a mentor to a child who had been bullied, and taking questions from students about that and other topics. It’s nearly 15 minutes long, but it’s punctuated with funny moments (the 3:35 mark, for instance) as well as insight. 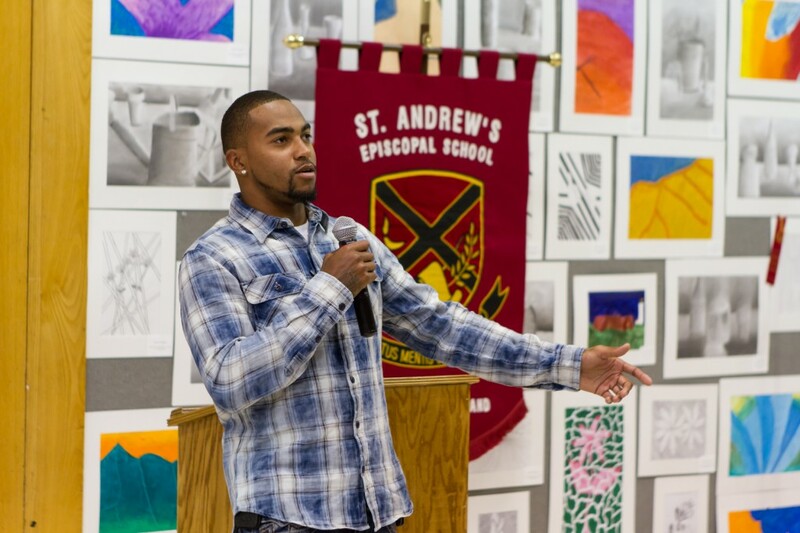 DeSean Jackson talks for about five minutes, then turns it over to the students for questions. If you watch the entire video, you’ll find out about Jackson’s relationship with his brothers, what happened when he called out some bullies during a talk in Long Beach, Calif., where he went to high school, which NFL player he looked up to and what kind of baseball player he was. If nothing else, if you’re a Redskins fan with pre-conceived notions about DeSean Jackson, this is worth your time.